Novi Kurnia is a lecturer and head of postgraduate program at the Department of Communication Science at Faculty of Social and Political Sciences, Universitas Gadjah Mada, Yogyakarta, Indonesia. Kurnia is also a researcher at Pemantau Regulasi dan Regulator Media (PR2Media), a research centre on media regulation and regulator, in Yogyakarta, Indonesia. She is a research coordinator of Jaringan Pegiat Literasi Digital (JAPELIDI), a network-community focuses on digital literacy movement in Indonesia. 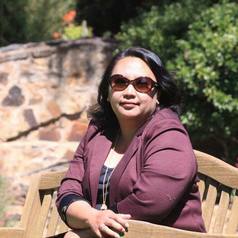 Kurnia finished her PhD study at Flinders University, South Australia, in 2014. Her thesis is about women film directors and their films in post-New Order Indonesia. Kurnia is also the founder and the chair-person of IF!fest (Indonesian Film Festival) which was held in Adelaide in 2006, 2008 & 2009. She is also the organizer as well as a juror for several local and international film festivals. Her main interest is gender and media, film studies, political economy of media, media regulation, and digital literacy. Her works published in national and international journals and books. She can be contacted by her email address: novikurnia@ugm.ac.id or noniknovi@yahoo.com.